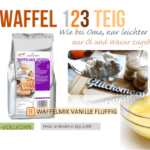 Es gibt verschiedene Druckverfahren, Waffelstiele mit Ihrem eigenen Logo zu branden. Für sehr genaue Darstellungen empfehlen wir den Laser- oder Tampondruck. Auf der METAV 2016, Ende Februar in Düsseldorf, demonstrierte uns die Firma Trotec die Funktionsweise dieses Laserdruckers. Das Yammie Team war hautnah dabei, und war beeindruckt, bis auf wenige Millimeter lassen sich Strukturen abbilden. Howdy very nice blog!! Man .. Excellent .. Superb .. I’ll bookmark your site and take the feeds additionally? After looking at a handful of the articles on your web page, I truly appreciate your way of writing a blog. Helpful info. Lucky me I discovered your web site unintentionally, and I’m stunned why this coincidence didn’t took place in advance! much! proportion we be in contact extra about your post on AOL? What i don’t understood is if truth be told how you are no longer really a lot more smartly-favored than you might be now. in terms of this topic, made me for my part believe it from numerous various angles. having similar RSS issues? Anyone that knows the solution will you kindly respond? issues, The web site taste is perfect, the articles is in point of fact great : D.